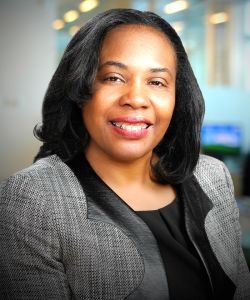 Wendy Lewis Jackson is managing director for the Detroit Program at the Kresge Foundation. 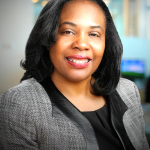 She co-leads the Foundation’s efforts to revitalize Detroit and to strengthen its social and economic fabric. Her work supports organizations providing economic opportunity for low-income people and addresses the needs of vulnerable children and families. Prior to joining Kresge in 2008, Wendy was a program director for Children and Family Initiatives and executive director for education initiatives at the Grand Rapids Community Foundation in Grand Rapids, Michigan. She taught at Grand Valley State University in Allendale, Michigan, and has co-authored and assisted in the publication of several reports and publications that address community needs and problem solving. Wendy: My educational background is in political science and social policy. My career in philanthropy began at the Heart of West Michigan United Way in Grand Rapids, Michigan where I served as a senior associate responsible for grants in the areas of health, community development, and human services. From the United Way system I began working with the Grand Rapids Community Foundation. My professional focus has been to address issues that affect vulnerable children and families. In particular, how philanthropy can be used to change the trajectory of children’s lives by providing comprehensive supports to families and communities and ensure economic stability. My work over the years has included early childhood, child welfare, and K-12 education reform. My work in Detroit at the Kresge Foundation continues these themes with an emphasis on early childhood development and learning. Wendy: The Kresge Foundation is a national foundation that works to expand opportunities in America’s cities through grantmaking and social investing in arts and culture, education, environment, health, human services, and community development in Detroit. In my role at Kresge, I work to advance tangible and sustainable near- and long-term progress in Detroit. The Detroit program is the Foundation’s largest grantmaking area and we make approximately $30 million in grants each year to advance opportunity and quality of life. About four years ago, we began thinking more holistically about areas of emphasis in Detroit that could improve economic opportunity and reduce inequality. Early childhood became the major focus of our work. In 2016, Kresge launched the Kresge Early Years for Success Initiative (KEYS: Detroit), a five-year, $20 million grant, with the goal to build and improve early childhood systems in the city of Detroit. Within this initiative, the major agenda is to help the city of Detroit get traction to increase quality and to expand access for young children in early childhood programs. KEYS: Detroit has five components. The first involves investments in new high-quality early childhood centers in the city. Through a gap analysis and needs assessment on Detroit’s early childhood system, conducted by the Midwest-based nonprofit IFF, we found there is a lack of 24,000 high-quality early childhood seats based on the number of children and their families in need of high-quality early childhood options. We are working to expand the number of seats by (1) investing in up to three new early childhood centers and (2) supporting IFF’s efforts to launch a new grant and loan program in Detroit to improve existing facilities. These grants and loans come with technical assistance to enhance quality. The second component is a partnership with the W.K. Kellogg Foundation, called Hope Starts Here, to help the city of Detroit develop its first strategic framework for early childhood development and learning. Through the Hope Starts Here partnership we set out to engage 50,000 families to learn (1) what families with young children need and (2) how the city can improve its approach to early childhood development and education. We’re using the data collected from these community stakeholders to develop Hope Starts Here recommendations that will be released in fall 2017. The third component is establishing grant programs for Detroit neighborhoods. This program has not been launched yet, but it is planned to be a new opportunity for local leaders to work on early childhood initiatives within their communities. The fourth component is related to social investment. We are fortunate at Kresge to have tremendous social investment expertise. We are looking at innovative financial means beyond grant making to be able to provide other financial opportunities for those working in the early childhood space. Our last component is around field-building—meaning, making investments at the local, state, and national levels for improving data collection, advocacy, and research in early childhood. We believe that the five components we are investing in will help Detroit’s youngest learners and ultimately have a positive impact on improving opportunities in the city. Wendy: A major challenge that I have experienced is ensuring better coordination of existing programs. We completed a mapping exercise in Detroit to get a handle on the number of programs supporting young children and their families. We identified over 400 programs that support young children in some way, but they were not working in alignment with the same North Star. This fragmented approach is a huge challenge, but we are trying to capitalize on all of these efforts in early childhood. Another challenge in Detroit is that many of the facilities that house early childhood programs are in substantial need of quality improvement. Families and their children should be able to receive services with dignity, starting with a building that fosters development and education. KEYS: Detroit is designed to put the necessary building blocks in place to have high-quality early childhood programs. In other communities, they start initiatives with bold goals, such as 90 percent of all young children will be able to access high-quality early childhood programs. In Detroit, there are so many fundamental things that need to be in place before we can begin to think of these goals. So setting up the fundamental structures is what KEYS is designed to do. Wendy: One suggestion is to not lead with the money. Really engage stakeholders and the community from the beginning, get a handle on what the needs are from various perspectives, and then develop a framework and solutions to address them. A community’s engagement is critical and fundamental to addressing its needs. Mobilizing families to become involved and help address the needs of their communities has been a critical element of the efforts in Detroit. A simple way of saying it—you need stakeholders and you need a plan! On June 22, 2017, U.S. Secretary of Education Betsy DeVos released a statement on the Department’s Regulatory Reform Task Force’s first progress report as required by President Donald Trump’s Executive Order 13777. The Department also published a Federal Register notice to provide members of the public the opportunity to submit comments concerning regulations and policy guidance they recommend the Department repeal, replace or modify. On August 11, 2017, the Department published a Federal Register notice extending the public comment period for 30 days, until September 20, 2017. A list of the Department’s significant guidance documents. Comments must be received on or before September 20, 2017.
explaining with specificity why the referenced regulation or guidance should be repealed, replaced, or modified. Wherever possible, please list the citations to the specific regulatory sections or titles of guidance documents to which your comments pertain in a subject line or otherwise at the beginning of your comments. We are particularly interested in regulatory provisions that you find unduly costly or unnecessarily burdensome. Although we will not respond to individual comments, the Department values public feedback and will give careful consideration to all input that we receive. Individual program offices of the Department will also be conducting outreach on this same topic. We will not accept comments by fax or email. To ensure that we do not receive duplicate copies, please submit your comments only once. In addition, please include the Docket ID—ED-2017-OS-0074—at the top of your comments.